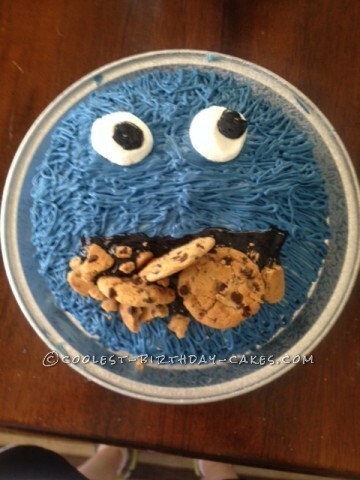 This Cookie Monster cake was fun to make. We used a round cake pan and colored vanilla frosting blue. I put a crumb frosting layer down first. Then I used a frosting tip to make hair. I pushed down on marshmallows to make them larger and created eyes with black frosting sure to make the pupils going in different directions- a signature Cookie Monster look. 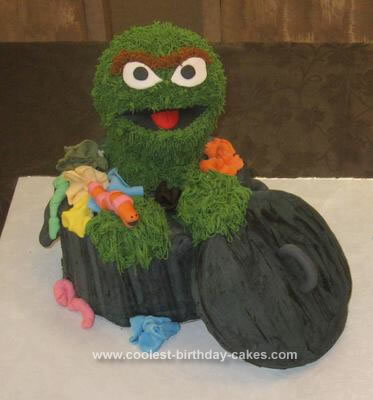 The mouth is black frosting with cookies mushed in to give a 3-D effect. 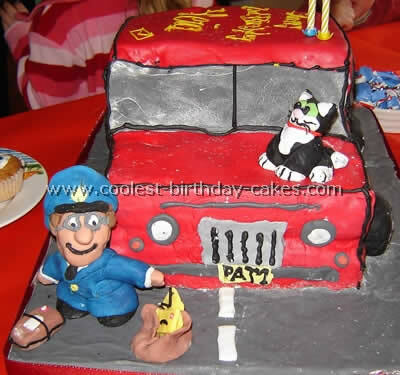 This cake was loved by all.